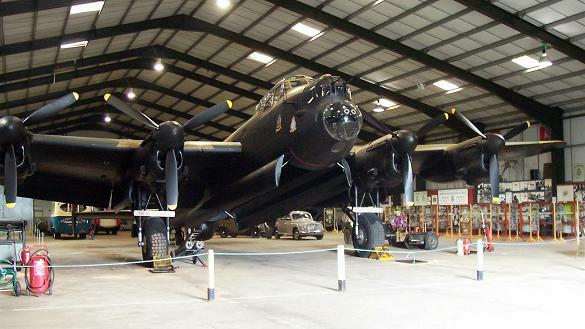 East Kirkby Air Museum is 20 minutes away from Bainland. It is a privately owned and run museum set up as a memorial to Bomber Command. The museum is the only aviation centre in the country recreated in its original design and on an original WW2 airfield. The museum houses a working Lancaster Bomber that still performs taxi runs, which you can book in advance for a once in a lifetime experience. It is the only place in Europe where you can experience being inside a Lancaster with all 4 merlin engines running! East Kirkby airmuseum is definitey worth a visit.